Anjalina has worked with restaurants, chefs and food bloggers in different areas such as recipe developing, training, food styling and creating experiences. She has developed recipes for her friends at Masala 73 and Deligotessen, both popular food trucks in Barcelona. Masala 73 recently opened its doors to their first Curry Bar, where Anjalina works closely with head chef Jordi Aros to develop new recipes seasonally. 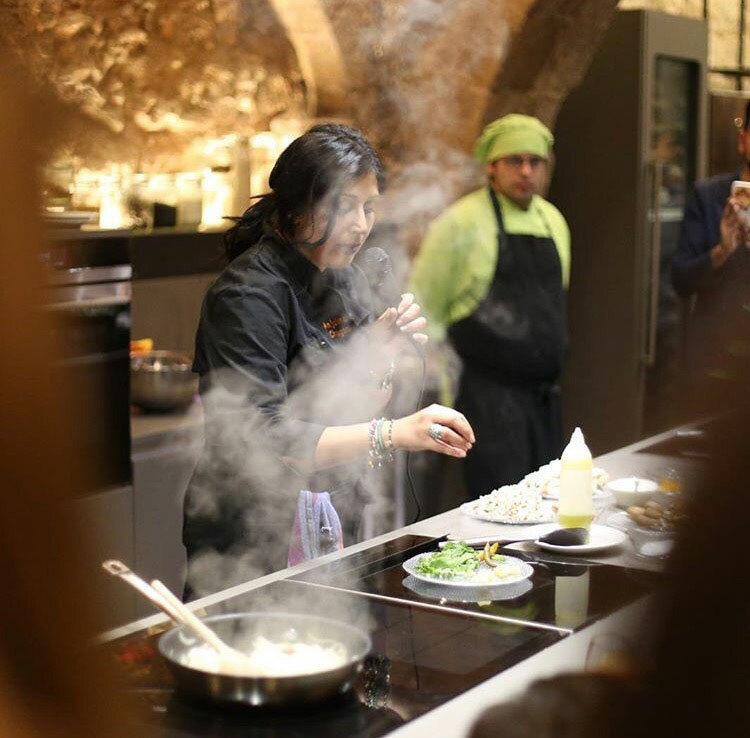 At Curry Club Ibiza, she has helped to train the chefs, giving them a focus on more traditional Indian flavours, enhancing their dishes and taking them to the next level. She has also developed recipes for Tropico and Bendita Helena, both of which she has done various events for, such as the extremely successful “Tes con Tropico”, an evening where Anjalina talks about the origin of “chai”, and demonstrates different recipes of this wondrous Indian tea. You can find her “poha” dish at on the menu at bendita Helena, and coming soon on the Tropico menu, Anjalina’s south indian Egg Curry, truly original! Her most recent collaborations are with the online food magazine, Food To Meet You, contributing recipes monthly, and with Trybeapp, preparing fresh lunch bowls for delivery.